Note: Click the rug image to view a larger version. Traditional Oushak goes contemporary. 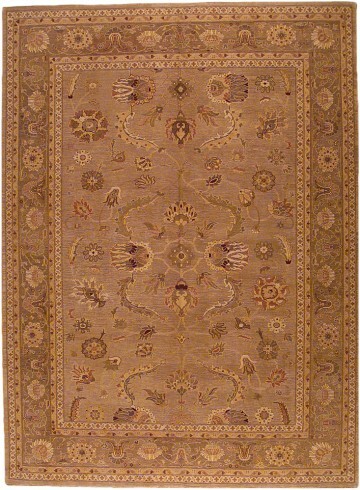 This rug’s open, decorative design and large format is reminiscent of the late 19th Century Oushaks that contributed to western Turkey’s prominence as a center of fine rug weaving. Stylized meandering flower & vine patterns are displayed in lovely shades of gray, taupe, gold and olive with burgundy and rose top colors. 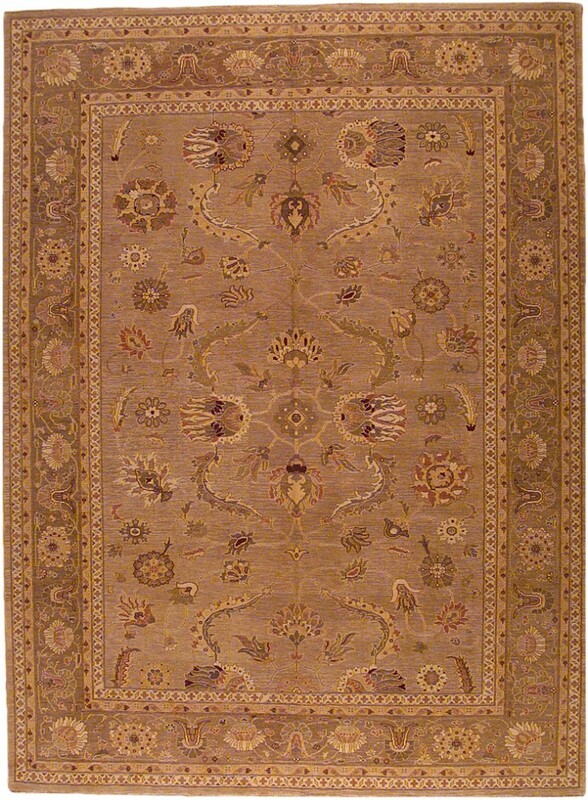 By employing an antique style finish of low cut pile throughout, skillful rug makers ensured that the rug’s supple texture would showcase both its design and colors in a most pleasing way. Contact Stephen Miller Gallery for more information.